Robust hard shell frame protects the projector safely from being damaged. 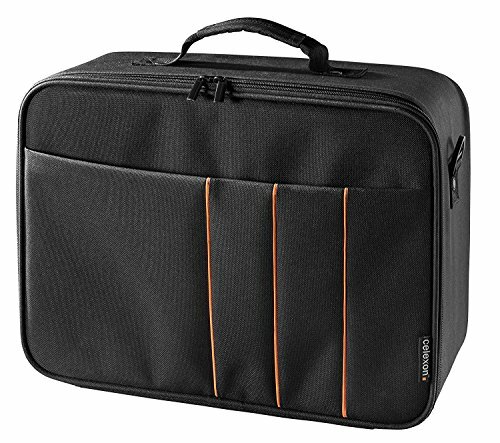 100% polyester: exterior of the projector carrying case is waterproof and washable. Plastic feet on the bottom protect the case from dirt and moisture.